Please note that the photos are of a similar home and may not be an exact representation of the home being built as products and specifications may be changed. MLS#3387956. Wade Jurney Homes. No negotiation necessary. Lowest price guaranteed. MLS#3387947. Wade Jurney Homes. No negotiation necessary. Lowest price guaranteed. MLS#3387950. Wade Jurney Homes. Lakeridge - Please note that the photos are of a similar home and may not be an exact representation of the home being built as products and specifications may be changed. MLS#3362189. Wade Jurney Homes. Incredible home on a gorgeous lot. MLS#3381822. Keller Williams Mooresville. Historic District - Potential garage addition must be approved through Statesville Historic Committee. MLS#3373342. Keller Williams Mooresville. Save even more with current incentives. MLS#3364398. Adams Homes Realty Inc.
Only $1000 down to make this one yours. Hurry before it's gone! ! MLS#3364124. Adams Homes Realty Inc. This property is being offered as-is, owned by the Estate of Catherine S. Tomlin. MLS#3363530. Keller Williams Mooresville. Second Dinning Room. Long's former dental office next door also available for additional business space. MLS#3362067. Allen Tate Mooresville/Lake Norman. Lakeridge - Please note that the photos are of a similar home and may not be an exact representation of the home being built as products and specifications may be changed. MLS#3362228. Wade Jurney Homes. Lakeridge - No negotiation necessary. Lowest price guaranteed. MLS#3362239. Wade Jurney Homes. Lakeridge - No negotiation necessary. Lowest price guaranteed. MLS#3362175. Wade Jurney Homes. Lakeridge - No negotiation necessary. Lowest price guaranteed. MLS#3362226. Wade Jurney Homes. Lakeridge - No negotiation necessary. Lowest price guaranteed. MLS#3362219. Wade Jurney Homes. Stewart Acres - Convenient to 40, Alexander County and Hickory. MLS#9597432. First Choice Realty. Good location for new fire station, police station or City offices. Across from City warehouse. MLS#3360056. Mossy Oak Properties Land and Luxury. House is designed to maximize space with multiple attic access points and many closets to store all your belongings. MLS#3359513. RE/MAX Impact Realty. 3+2 with large soaker tub in master bathroom. Large trees on lot. MLS#3353403. Taft Realty & Auction Service. New carpet, New paint. MLS#3352116. Taft Realty & Auction Service. The home fronts on two streets, Gypsy Ln and Suzanne Ln. with access from either street. MLS#3323962. United Country - Haden Realty. Please view this virtual tour. https://www.dropbox.com/s/m3k8hjt6rxqvlkx/910%20maplewood%20lnfinal.mp4?dl=0 MLS#3196350. 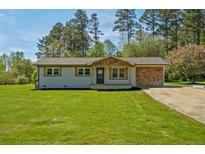 Lake Norman Realty, Inc..
Property can be combined with 1402,1408,1420, and 1430 Yadkin St. MLS#3133365. Doug Madison Realty. 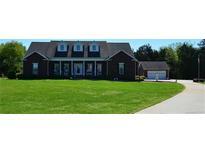 Can be combined with 1402,1408,1414, and 1430 Yadkin St. MLS#3133357. Doug Madison Realty. Can be combined with 1408,1414,1420,and 1430 Yadkin St. MLS#3133375. Doug Madison Realty.